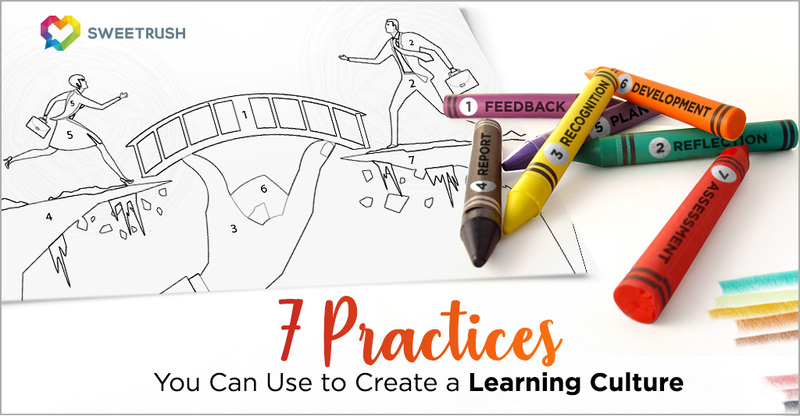 Foster a learning culture that motivates your team with these valuable practices. You cannot have a learning organization without shared vision. Without a pull toward some goal which people truly want to achieve, the forces in support of the status quo can be overwhelming. The human motivation to learn and grow within an organization is based on doing well and doing good. Human beings have a natural inclination to contribute to the well-being of others and society. We want to know that our contributions make a difference in some small way to a larger vision. It is the role of senior leadership to create a compelling vision that inspires employees and connects with their sense of meaning and purpose. Recently, BlackRock CEO Laurence Fink, one of the most influential investors in the world, informed the world’s largest public companies that if they want to receive the support of BlackRock, they need to do more than make profits—they need to contribute to society as well. This isn’t just because it’s good for society; it’s because it’s good for business too. People are motivated by higher values and purpose. Additionally, people need to know how to be successful. They need to know how they will be measured and how they can progress in their careers. Talent management is critical. When they can see the opportunities ahead, authentically express themselves, and feel that their sense of purpose is connected with the organizational mission, people become motivated and are more likely to take advantage of self-directed learning opportunities. Here are some practices to stoke the intrinsic motivation of your team members and foster a learning culture. We need to invest time to stop, reflect, and learn collectively. This helps us develop shared meaning and understand what works and what does not. The purpose is to enhance your team’s ability to transform and learn. People like to be caught doing things right. The desire for recognition is contagious, so the more you acknowledge your employees’ good work, the more they will want to do it. Traditionally, we are not good at celebrating what is right and good around us. By intentionally focusing on the positive, we also grow the behavior and culture we want to see. Businesses need ways to track and learn from their culture journey. The quarterly culture report measures progress, but not in the traditional linear way. Its purpose is to create a shared picture of your team’s current culture journey through data collection and dialogue. This plan includes focus, actions, and dates. It helps your team review, focus, and manage your culture. This plan includes desired values, actions, responsibilities, and dates. It helps each team review, focus, and manage the cultural transformational journey. There is an example of a Culture Development Plan in Get Connected (p. 54). Define how and when you intend to follow up to see the effect of your efforts and the progress of your team’s evolution. 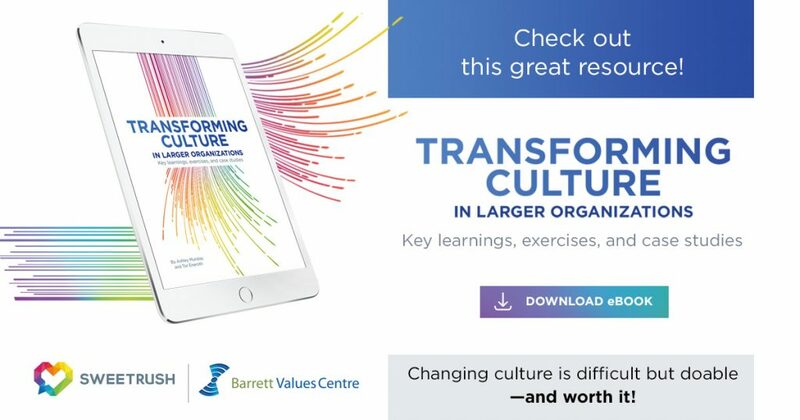 To read more about how to create a high-performing team and organization, download the e-book Transforming Culture in Larger Organizations, coauthored by Ashley Munday, SweetRush, and Tor Eneroth, Barrett Values Centre. The lessons apply not only to organizations but also to any teams.